11 minutes (at least) of inspirational knowledge, how-to-guides and experiences on how to work with grassroots esports, by Martin Fritzen. www.martinfritzen.com By listening to this podcast, you will get series of real life experiences, great ideas and strategies mixed with facts, insights and practical proof-of-concepts that you can apply immediately, to work with grassroots esports. Anyone with interests in building successful grassroots esport organizations and / or activities. Starting from the “sports for all”-mindset. Martin is an international grassroots esports entrepreneur and opinion leader. 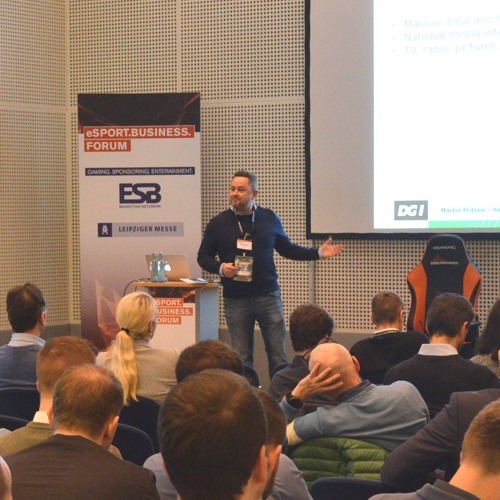 He founded Denmark’s biggest esports club and is now a key-note-speaker at sport and esport events, and spearheading all grassroots esports activities at DGI.